Facebook Co-Founder and CEO Mark Zuckerberg said in a Facebook post Thursday afternoon that he spoke with President Barack Obama to emphasize his concerns about Internet privacy intrusions by the U.S. government. To keep the Internet strong, we need to keep it secure. That’s why at Facebook, we spend a lot of our energy making our services and the whole Internet safer and more secure. We encrypt communications, we use secure protocols for traffic, we encourage people to use multiple factors for authentication, and we go out of our way to help fix issues we find in other people’s services. This is why I’ve been so confused and frustrated by the repeated reports of the behavior of the U.S. government. When our engineers work tirelessly to improve security, we imagine we’re protecting you against criminals, not our own government. The U.S. government should be the champion for the Internet, not a threat. It needs to be much more transparent about what it’s doing, or people will believe the worst. 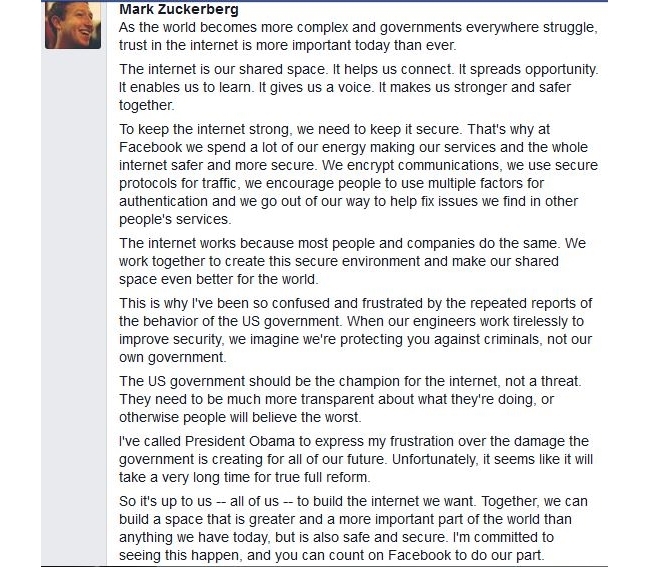 Readers: What are your thoughts on Zuckerberg’s post? 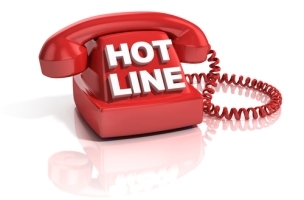 Hot line image courtesy of Shutterstock.